24 Channels, Flexible Routing, USB I/O, and Amazing A&H Quality! With 16 mono channels and 4 stereo channels, the Allen & Heath ZED-24 can handle every aspect of a live performance and then some. Perform, record, and playback from this flexible ZED mixer, which offers 10 independent outputs, 4 aux sends, 16 DuoPre mic preamps, a stereo USB interface, dual 1/4" and RCA stereo inputs on the 4 stereo channels, and advanced monitoring features. Bundled Cakewalk Sonar LE DAW software is icing on the cake. Allen & Heath designed their DuoPre mic pres with a two-stage design to dish out up to 69 dB of gain. This hearty helping of clean gain is distributed evenly around the ZED-24's gain controls, making it easy for you to set your input trims. When you plug into a channel's line-level input, you're automatically plugged into the second stage of the preamp, resulting in less noise. These preamps are the basis of a great-sounding board! Sixteen mic/line inputs with DuoPre mic preamps and 3-band EQ handle your microphones and DI boxes while offering tons of headroom and distortion-free sound. Four stereo line inputs offer a main stereo input on jack sockets with additional inputs from RCA sockets or from the USB audio input. You can assign the USB return to one of the extra inputs, so that it feeds either the main LR bus or the stereo channel. And all of the 16 mono channels and 4 stereo channels have smooth 100mm faders. 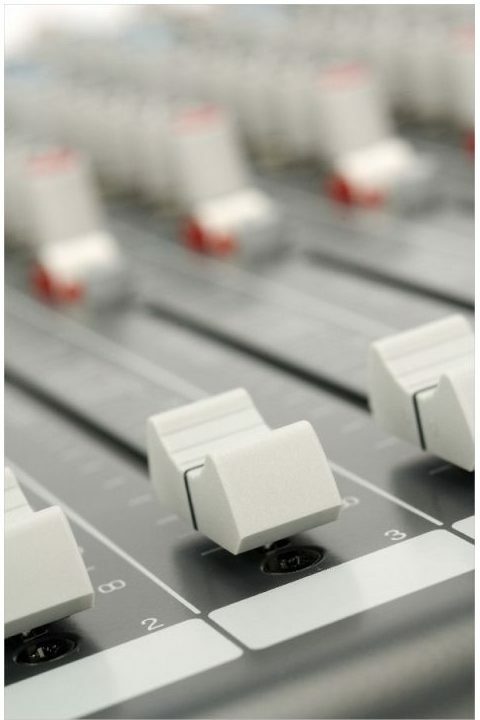 Connect the mixer to a PC or Mac via USB and you have a simple way to get 44.1-48 kHz/16-bit audio to and from your computer for recording, playback, and mixing with external FX. The ZED-24 comes bundled with Cakewalk Sonar LE, powerful music-production software for multitrack recording, editing, working with effects, and more. When you pair the ZED mixer with a laptop or desktop computer, you've got everything you need to make music right away. 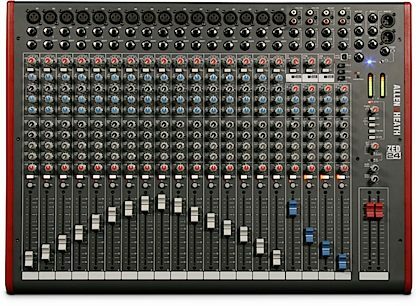 The Allen and Heath ZED-24 has a fantastic pedigree which comes from nearly 40 years of making mixing desks for the professional sound community. The audio circuitry is based on years of continual development and refinement and the performance of all the elements within the mixer is has been perfected to ensure the very best sound quality possible. Allen and Heath has teamed up with major software supplier, Cakewalk, to bundle its Sonar LE music creation and audio production software with ZED, giving you a fantastic, high spec digital audio workstation. 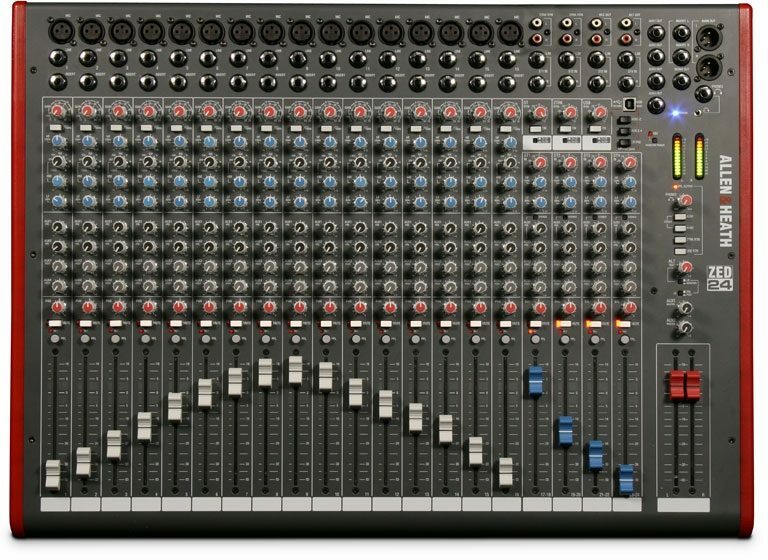 The feature-set is incredibly advanced for a mixer at this level - it has 23 independent sources to the mix, 10 independent outputs, 4 aux sends, a USB send and return for PC or Mac recording, playback and effects, a unique dual stereo input capability and some very advanced monitoring facilities. In fact, ZED-24 is so packed full of great features that you'd think it would cost much, much more! What about the sound quality? Our chief designer, Mike Griffin, has been at the forefront of audio innovation for many years and has developed the designs for our spectacularly successful MixWizard and GL series professional live mixers. Mike is always striving to produce the best possible sound for our mixers, and for ZED has produced the 'DuoPre(tm)', a mic preamplifier which sounds as sweet as a nut, as pure as the driven snow. The DuoPre combines an optimised line input circuit together with the microphone preamp circuit so that it will not colour or distort your sound, will give you lots of headroom and give you a truly professional feel. One of the great things about the ZED series is the number and variety of things you can plug in. In addition to the sixteen mono channels there are four stereo channels, each with a main stereo input on jack sockets, and with the ability to take additional stereo inputs from phono sockets or from the USB audio input, flexibility gives you control. In all, ZED-24 boasts 129 different controls on its front panel -- way more than any of the competition! 16 mic/line channels are provided on ZED-24 -- plenty for mics or DI boxes for larger bands or demanding applications requiring more inputs than the ZED-14. 4 stereo line inputs, 3 with dual inputs. All inputs have independent gain control. Based on the proven preamps from the hugely successful PA series, the ZED series has DuoPre preamps, which use a two-stage design with carefully controlled amounts of gain in each stage. When amplifying the signal from the XLR input, the gain range is huge -- 69dB of range to be exact -- and is very evenly distributed around the gain control, meaning better control of signal level. 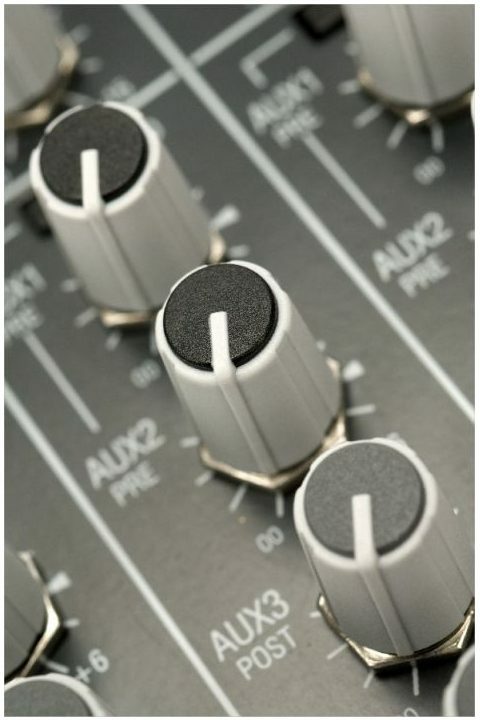 Most of the gain comes from the first stage, so unwanted noise is kept to a minimum. 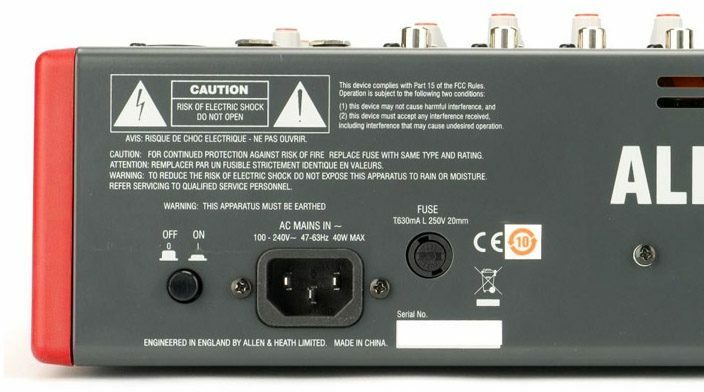 Line level signals are simply plugged into the second stage of the pre-amp by using the line input jack socket, which has the great advantage of less noise when using the line input. ZED-24 features a responsive 3-band, swept-mid frequency design with MusiQ -- optimised slope (or Q factor) for equalising individual instruments. HF and LF also boast Xtra Boost giving you extra control. 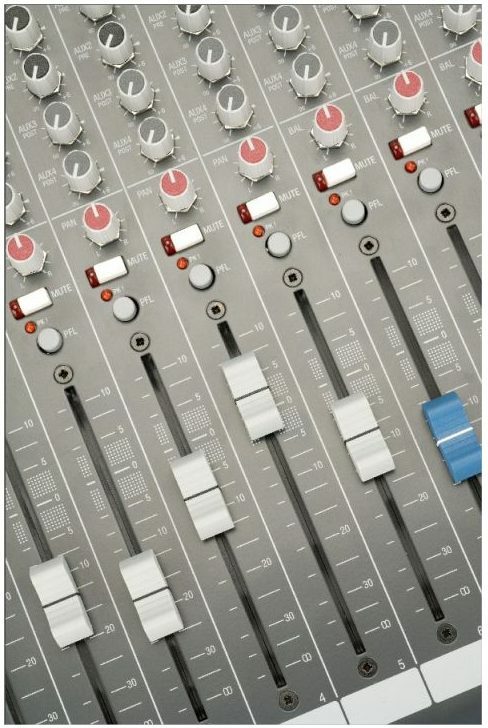 At this level, most mixers are built using a single, flat PCB with all the pots and switches attached at right angles. ZED-24 utilises individual vertically mounted channel circuit boards with each rotary control fixed with a metal nut to the front panel - making a much more robust product that will resist damage and give years of reliable use. ZED also has professional 100mm faders for ultimate control over your levels.
" 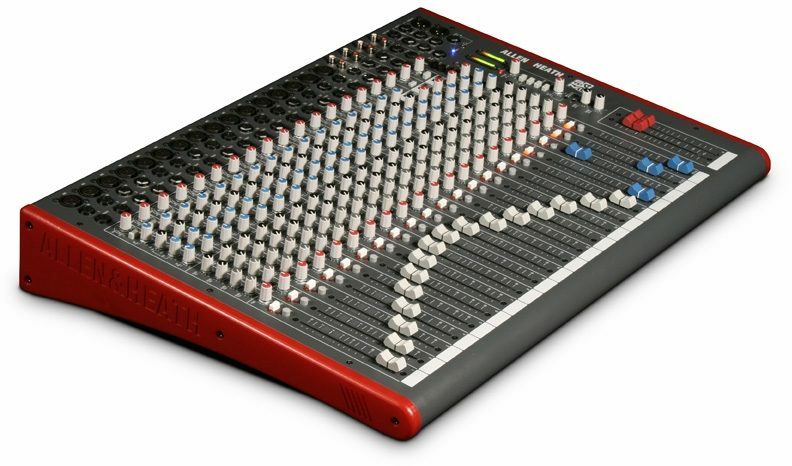 Allen and Heath ZED24 24-Channel Mixer "
Style of Music: Urban/R&B, Pop, Inspirational, Talk. 15 of 16 people (93.75%) found this review helpful. Did you?